2014 December: Leaves my skin feeling smoother! 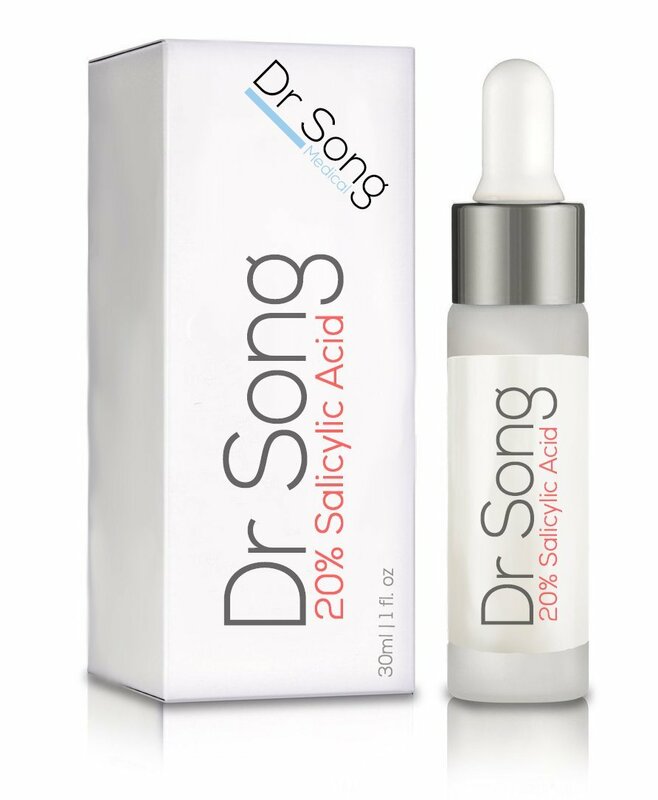 Dr Song 20% Salicylic Acid Gel Peel Leaves my skin feeling smoother! I have to admit that I was slightly skeptical of trying a peel at home so I did start with a very small amount. I admit there was peeling on my skin at first, but after a couple of days, it went away and my skin appears smoother. My skin looks less tired and dull. I have only used for a few weeks now but this product seems to be working quite well. My wrinkles haven’t disappeared but my skin looks better. I also like that only a small amount is needed and there is not a burning sensation and I have somewhat sensitive skin. Over all, I am very happy with this product. 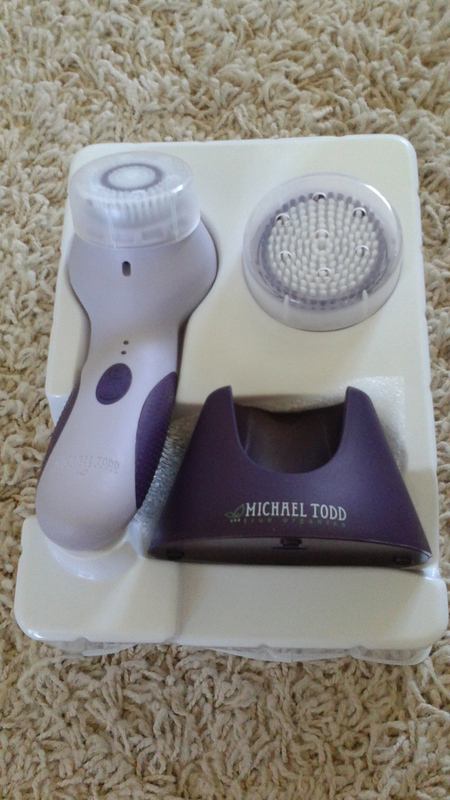 Self Disclosure: I received this product free in exchange for an unbiased review. You can purchase on Amazon.com. GuruNanda Pulling Oil A "detox" that can contribute to overall wellness! I have to admit that I had never heard of this product! So, I’m not sure if you have ever heard of oil pulling (a simple method of oral detoxification), but it’s an Ayurvedic healing practice that dates back 5,000 years and it has many wellness benefits that extend far beyond the mouth itself. It’s an easy way to rid the body of toxins by swishing an oil in your mouth twice a day — and it’s 100% natural and completely safe! Like, I said..I had never heard of it! But, it sounded intriguing. This new product, GuruNanda Pulling Oil (www.gurunanda.com/oil-pulling), features a proprietary blend of 4 different oils, which together perform at a higher level than the single oils routinely used for oil pulling. This really is a great way to start off the New Year! I had never tried a product like this one before so I only have been using a small amount but so far, I do feel like I have more energy. I have only been using it for a short time so haven’t noticed any other significant changes yet. I also like that is contains Sesame Oil, Sunflower Oil, Coconut Oil and Peppermint Oil. You can also purchase on Amazon.com. Self Disclosure: I received a free sample in exchange for an unbiased review and to facilitate this post. With “One Night,” Jenkins was compelled to recreate the experience of music he grew up hearing – real instrumentation, melodies that stay with the listener, and movement-inspiring tempos. The song touches on awakening our inhibitions around love and relationships, celebrating all that can unfold after “love at first sight.” Jenkins’ lyrics remind listeners that genuine, lasting connections are still possible, even in a world that can be doubtful and impersonal: “One night we fell in love. Two hearts so balanced they beat as one. For three days we avoided the sun. And it’s hard to believe this happened all on the strength of one night.” A video for the single is slated for release on December 16. Robbie Jenkins has performed as a vocalist, instrumentalist, and studio/touring musician for nearly 30 years, traveling the world with major recording artists such as Surface, PM Dawn, and Jimmie Vaughn. During a lengthy apprenticeship with producer, recording artist, and six-time Grammy nominee Kashif, Jenkins was fortunate to spend time with many influential artists in Kashif’s creative circle, including Whitney Houston, George Benson, and Dionne Warwick. He has composed and performed original work with the Washington Symphony Orchestra in Washington, D.C. Another pivotal career moment was Jenkins’ arrangement and recording of background vocals for Earth, Wind & Fire lead vocalist Philip Bailey. Jenkins’ own 2007 single “Wherever You Go” reached #6 on the LIVE 365 Radio Chart during its second week on the charts, and his debut CD “Because It Feels Right” was released later the same year. Music and its transformative power often take Jenkins outside the recording studio. As a mentor and youth leader, he has personally funded after-school music programs at several schools in the Stamford Public School Systems, and afforded scholarships to many students pursuing music degrees at the college and university level. He has been awarded a Key to the City of Stamford for his youth community service, and was the 2014 recipient of the Harry Belafonte Artistic Award from the Stamford NAACP, a local chapter of the nation’s oldest and largest civil rights organization. The evening after the “One Night” video debut, Jenkins will appear on the program “The Power Trip.” The interview is scheduled to begin at 6:30 pm PST on December 17 on InTheMixxRadio. To hear the program live, listeners can visit the website InTheMixxRadio.com or download the InTheMixxRadio App available for both iPhone and Android. The call-in number for the show is (718) 705-4959. 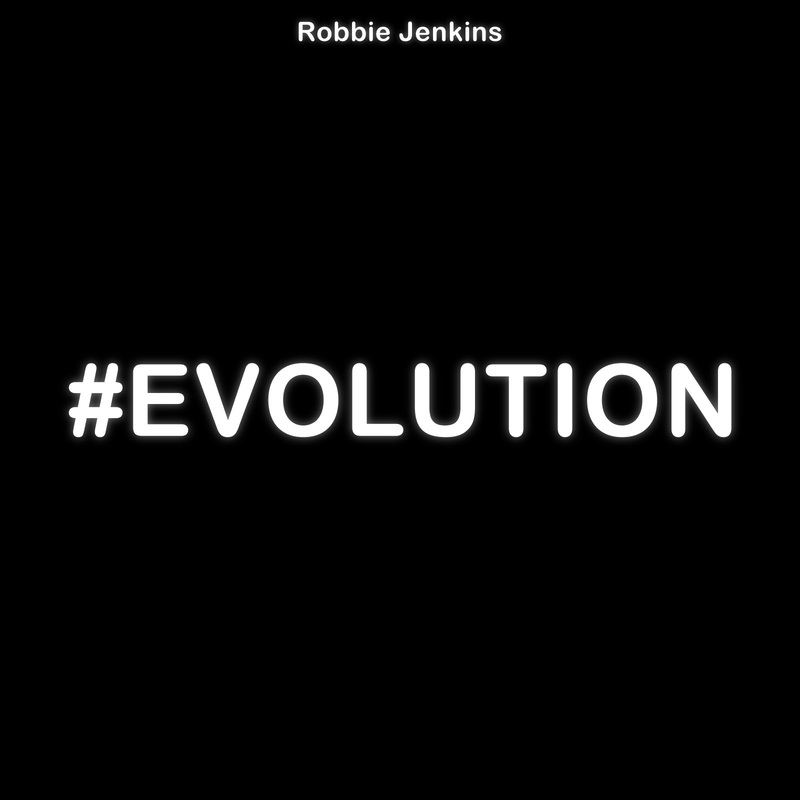 Next up for Jenkins will be the release of his second full-length album “#Evolution” on January 20, 2015. A one-hour, behind-the-scenes documentary titled “Evolution: Realizing the Vision” highlighting the making of the album is in post-production, and plans are underway for a 2015 live tour. I was able to receive a free download of the single “One Night” and I love the catchy song.The whole song is really catchy and is now stuck in my head! It really reminds me of old R&B (with a splash of the 80’s) and I can’t wait to hear the entire album that will be coming out in the New Year! Robbie Jenkins is an accomplished vocalist, instrumentalist, and songwriter with credits spanning nearly three decades. He has performed live on tour with major recording artists, on national and international television programs (“The Tonight Show with Jay Leno,” “The Arsenio Hall Show” and others), and on multiple albums and music videos. Jenkins is a respected music educator, author, and lecturer in the industry, as well as an accomplished community leader focusing on music education for youths. He is the CEO/Founder of Overture Entertainment, Inc., a music label, production, and publishing company. 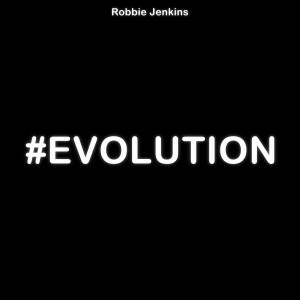 I received a copy of the newly released Album #EVOLUTION. I love the album. Stay tuned for my review. KIDS CWIST For Kids! I love how my son can help earn gifts for Kids in Need! Last week I shared with you about a great way for Kids to earn gifts for Kids in need! CWIST is an incentive-based digital learning platform where parents and educators can share ideas, motivate kids to learn and teach valuable life lessons. With CWIST, parents assign a learning challenge (“a cwist”) that the child will love doing because it’s interactive and it’s fun. There are two types of CWISTs: Ready-made challenges can be drawn from an online library of age-appropriate educational online games, such as a math challenges. Or, parents can create their own challenge for their kids to complete. This might be a chore, such as filling up two bags of leaves from the yard, or a learning activities, such completing a reading assignment. For completing these CWISTs, kids can earn parent-designated rewards such as a bowl of their favorite ice cream, an extra hour of television, or that cell phone upgrade they’ve been yearning for. These CWIST challenges help teach kids the importance of hard work in achieving their goals. 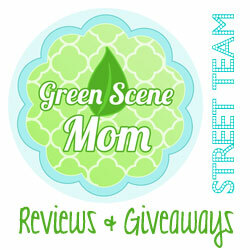 But, my son and I signed up last week and sure…the parent-designated awards are awesome! But, the best thing is that The Kids CWIST for Kids charitable initiative connects a parent and their children to a child in need. Parents assign their children CWISTs to complete but instead of their child receiving the reward, a gift will be donated to a child whose family can’t afford holiday presents. In addition, CWIST will also be donating the first $2,000 in toys earned by children for completing CWISTs to family-supporting charities. I love that there are a variety of choices to pick from arts, cooking, sports and many more. There really is something for every kid to choose from! My son loved the idea of baking bread (for example) and earning a gift for a child in need. This is just such a cool way to give back this holiday season. The campaign launched for #Giving Tuesday and will run through the end of the year. Self Disclosure: This is a compensated post and I will receive paid compensation but all opinions expressed are truthful and honest and I highly recommend. As the year comes to a close, Del Amo Fashion Center is celebrating a season of change and preparing for exciting new retailers as part of the ongoing transformation of South Bay’s premier retail destination. With 2014, Del Amo Fashion Center welcomed the construction of a brand new Patio Cafes garden-inspired dining pavilion in the heart of the shopping center, relocated stores from the north section of the center to make way for the creation of a new state of the art two-level mall and a new Nordstrom, welcomed new retailers and prototype stores, and began construction on a four-level parking deck along Fashion Way. Macy’s also consolidated three locations at Del Amo Fashion Center into two stores to make for a more convenient trip for Macy’s loyal shoppers. In 2015, additional new dining options including Sumo Salad, Manichi Ramen and Frostbites Crepes & Frozen Delights are slated to join the center. Patio Cafes, which is already home to Blaze Pizza, Chipotle, Gengis Khan BBQ Grill, Ginza Grill, Panda Express, Sbarro, Stone Oven Gourmet Sandwiches and Salads, is also preparing for additional tasty new additions. The New Year will bring the opening of Sumo Salad’s first-ever U.S. location at Del Amo Fashion Center, offering shoppers a healthy dining option while on the go. The Australian-based healthy food franchise will serve fresh “design your own” gourmet salads that are made to order, using fresh, nutritious ingredients sourced daily, including serving only free-range chicken with no added hormones, avoiding unnecessary fats and artificial flavors and no GMO (genetically modified organisms). They will also offer delicious wraps, rolls, toasted sandwiches, pasta, soup, fruit salad, yogurt, coffee and more. In early 2015, shoppers can dine at Manichi Ramen, which is a top-rated ramen eatery from Japan. Del Amo Fashion Center’s location will be its first in the continental U.S., with the only other U.S. location in Ala Moana shopping center in Hawaii. As another dining option, Frostbites Crepes & Frozen Delights is slated to open a 643 square-foot space in the center’s Outdoor Village in early 2015. The eatery specializes in custard-based ice cream and ice cream cakes, sorbet shakes, Italian sodas, crepes, Italian ice and a variety of beverages. In February 2014, the north section of the shopping center (from the old food court to just before the outdoor lifestyle wing) was shut down with stores relocated to make way for the creation of the 400,000 square feet of brand new retail space, and a new Nordstrom, set to open in Fall 2015. Nearly 200,000 square feet of 1960’s-era vintage mall space is now gone (with most materials fully recycled), and site was turned over to Nordstrom in August. Also by summer, an exciting lineup of new retailers joined Del Amo Fashion Center, including The Finish Line by Nike with a Nike Track Club near the new Patio Cafes, Pandora near Macy’s Court, Quiksilver with a Roxy pop-up shop, Billabong, Oakley, and 100% Pure Cosmetics. Teavana, which carries fresh, high quality loose-leaf teas, recently opened October 10, while Robert Wayne Footwear joined the center on November 26. Other stores relocated into updated permanent spaces. For example, Hollister Co., a division of Abercrombie & Fitch Co., relocated and opened a new prototype store in Juniors Court. Skechers also opened a new prototype store near the new Patio Cafes dining experience. Early next month, Typo will relocate to a permanent space near Robert Wayne Footwear, in Macy’s Court. Late October brought with it the completion of Macy’s consolidation of its three stores in the mall into two locations – the current Macy’s four-story “Main Store” at the north end of the mall, and the three-story Macy’s Men’s, Home and Furniture store. Shoppers can now also experience ambience improvements including new railings, flooring, and ceilings, as well as a brand-new “carousel pavilion” style Santa set in time for the holidays. The blue and green color scheme reflects the outdoor coastal feeling of the center. Children can play interactive games designed on the back of the set to keep entertained while waiting in line. The grand opening of phase two of the project, which is expected accompany the Nordstrom opening in October 2015, includes the construction of a nearly 2,000-car parking along Fashion Way, between the Marriott Hotel and Del Amo’s newer Outdoor Village. For ongoing updates and to learn more about the transformation of South Bay’s retail destination, follow Del Amo Fashion Center on Facebook at facebook.com/DelAmoFashionCenter, Twitter attwitter.com/delamofashion or Instagram at instagram.com/delamofashion. Check out a 3D architect rendering animation at youtube.com/watch?v=4jO0g8d8Kcs for a bird’s eye perspective on the future Del Amo Fashion Center once this transformational, property wide renovation is complete. Credit: Del Amo Fashion Center. As a core member of the award-winning indie-folk band David Wax Museum, vocalist and fiddle wizard Suz Slezak is accustomed to the praise that comes with being part of a cutting edge ensemble which resides on practically everyone’s “next big thing” list. With her first solo album, Watching the Nighttime Come, set for release on February 10, Suz Slezak is ready to secure her own place in the spotlight and in the hearts of families everywhere. Watching the Nighttime Come is at once a carefully balanced anthology of cultural gems and a collection of original songs, some written individually and some standing as collaborative efforts by Suz Slezak and husband David Wax. The track list includes a celebrated Mexican lullaby, a 16th century round, a Leonard Cohen favorite, and more. While the engine that pulls the album together is the refined intimacy and highly personalized delivery of Suz Slezak’s exquisite voice, there are also contributions from guest artist David Wax, along with a fine cast of others in both performance and production. 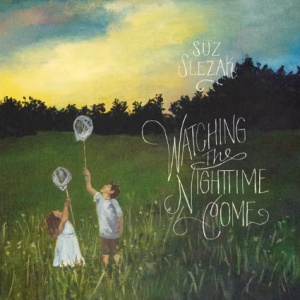 Watching the Nighttime Come was born from Suz’s desire to present a musical offering to her friends who are also young parents. It was conceived as a nocturnal serenade, not only for sleepy (and not so sleepy) children, but also as a compelling collection for parents to enjoy while attending to offspring bedtime duties. The Washington Post noted, “Sonically, the most interesting part of David Wax Museum is not the group’s namesake but its other half, Suz Slezak, whose harmonies soften Wax’s serious tone.” Under the sensitive guidance of producer/multi-instrumentalist Josh Kaufman, this softness infuses Watching the Nighttime Come. Fans of David Wax Museum will hear other familiar elements — the blending of Suz and David’s voices, the tremendous musicianship of Alec Spiegelman (heard on three David Wax Museum albums), and a salute to the Mexican cultural influence so important to the band. We received a copy of the CD to review and I found the music to be quite enjoyable to listen to and the sound is rather unique. I highly recommend for young children and their parents. Watching the Nighttime Come will be available at www.davidwaxmuseum.com, amazon.com, iTunes, and other related digital outlets. Check out Suz Slezak’s Facebook page at www.facebook.com/SuzSlezak. Self Disclosure: I received a free CD to facilitate this feature. 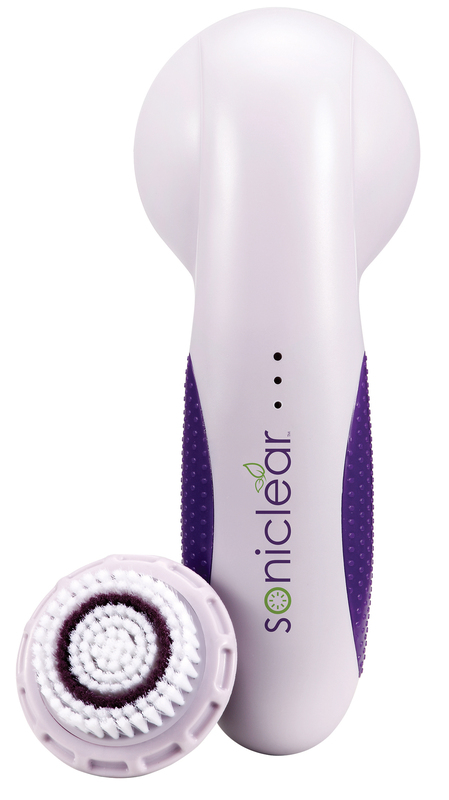 Soniclear Sonic Skin Cleansing System is a Beauty-Must-Have! Are you looking for a great way to clean your face? I aabsolutely love the Soniclear Cleansing system by Michael Todd. It really cleans and is really powerful but gentle enough for my somewhat sensitive skin. My favorite thing is that it comes with tow Antimicrobial Brush Heads. It is not only for your face but your body as well. 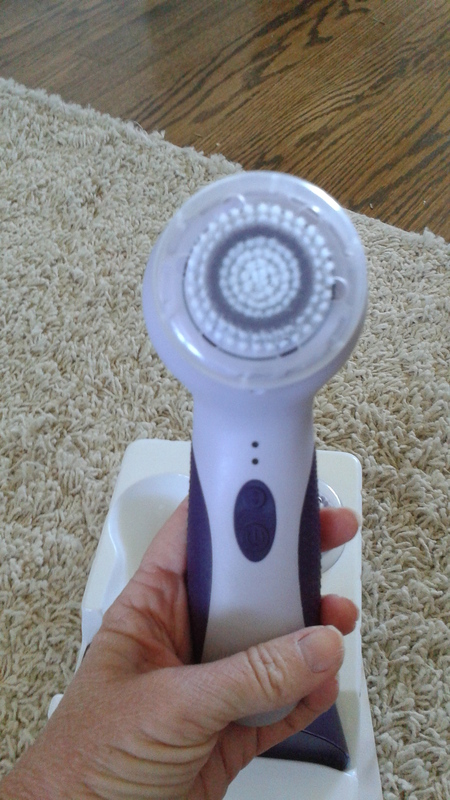 I also love that it has six cleansing speeds (three for the face and three for the body). 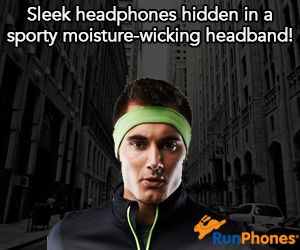 It is easy to use and is also rechargeable and waterproof. I love that finally there is a great cleansing system that I can use in the shower for both my face and body. It has 300+ sonic movements per second and the soniclear brushes have been treated during the manufacturing process with proprietary LIFE antimicrobial product protection which is a soniclear exclusive. This helps to guard against the growth of stain and odor causing bacteria. Traditional brushes I have used in the past do not have this protection. This really is quite unique! I have tried quite a few other skin cleansing brush systems and this one really is my favorite! My skin really does feel much more refreshed and cleaner after using this product and I highly recommend as a beauty-Must-Have! To find out even more, check out the website. Self Disclosure: I received this product for free in exchange for an unbiased review via Tomoson and all opinions expressed are my own. Into the Woods takes a modern twist to the beloved Brothers Grimm fairy tales – Cinderella, Little Red Riding Hood, Jack and the Beanstack and Rapunzel – in a musical format tied together by an original story about a baker and his wife who are under the influence of a witch’s curse that prevents them from having a child. Based on the 1987 Broadway play by the same named, Into the Woods earned Tony Awards for Best Original Score (Stephen Sondheim) and Best Book of a Musical (James Lapine). KIDS FIRST! Critics Willie J. comments, “Rob Marshall and company have made the best American movie musical in over ten years. Ironically enough, Rob Marshall’s Into the Woods is the best musical since Rob Marshall’s Chicago.” Raven D. adds, “The execution of this film is flawless. It captures the feel of seeing a musical live, with the over-the-top theatrics and set design.” Shelby R. wraps it up with, “The message of the film is that you should be careful of what you wish for. ” See their full reviews below. I confess that I binge listened to the soundtrack before seeing this film and was thoroughly impressed with the vocals. It got me excited going to the screening. I also admit that I am a fan of the Broadway musical. I’ve seen the play this film is based on starring Bernadette Peters, Vanessa Williams and Phylicia Rashad. All three have played The Witch. I have watched Johanna Gleeson light up the stage with energy, charm and humor. I noticed every change, subtraction and addition in the cinematic adaptation and I must say, this film is a triumph. It has wit, humor, emotion, magic and music – all the makings of a great musical. The first fifteen minutes, the prologue, is edited with such vivacity and rhythm that you are immediately engulfed into the stories and the action. Then, Director Rob Marshall slowly starts to focus on the rhythms and details of each individual story. From the Baker and his wife, to Little Red Riding Hood, to Jack, to the Witch and Cinderella. All their stories are told with the same passion and intent as the others, each with their individual flair. Yet somehow Marshall is able to have each story fit perfectly into the grand puzzle that is Into the Woods. I could rave on and on about Sondheim’s score. His scores always have a sort of, inside joke sound to them. It’s as if Sondheim knows something we don’t know when he composes. There is an obvious humor and wit in Sondheim’s score of Into the Woods, but it is the lyrics that tell the story. James Lapine, who wrote the screenplay and the libretto for the Broadway musical, makes some interesting changes for the film version. Fans of the musical will recognize the changes immediately and they may or may not like them. I personally liked them. For those who’ve never seen or even heard the Broadway version, this film will entertain and even touch them. 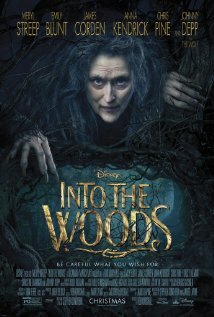 Meryl Streep, is the best Witch I’ve seen. The finest actress of all-time gives The Witch a portrayal big enough to fit Rob Marshall’s theatrical style, but is subtle enough for us to understand her. Her solo Stay With Me is one of the best scenes in the whole movie and one of the best acted scenes this year. But, it is the show-stopping number of Last Midnight that will leave a lasting impression on you. I haven’t been able to stop listening to it since I saw it. I was in jaw-dropping awe in the theater watching that number. It’s because Meryl Streep doesn’t just sing a song (she has a beautiful voice and can surprisingly belt very well), she acts it. She feels each word and doesn’t waste them. She’s able to find the subtext in every song, every line of dialogue, every lyric. She will definitely be a presence this awards season and rightfully so. Speaking of showstoppers, I must mention the funniest duet in any musical from any time, Agony. Sung by Chris Pine and Billy Magnussen, who play Cinderella and Rapunzel’s princes respectively, the number is beautifully staged and timed hilariously. Everyone in my theater roared with laughter and I was apart of it. That may actually be the best musical number in the whole movie. I’d also like to point out James Corden, who really surprised me. I knew he’d do the comedic portrayal of The Baker well, but it is the dramatic parts that had me apprehensive. He killed them. His chemistry with Emily Blunt is very believable. They work well together and they both have fantastic voices as well. I think Blunt is one of the most underrated actresses today and I’m confident this film will put her on the map. She is a grand talent. The million dollar question fans of the musical may have, “Does she live up to Johanna Gleeson?” My answer is, I don’t know. They approach The Baker’s Wife differently. Their choices completely differ and therefore they cannot be compared. The last standout I want to mention is young Lilla Crawford, who some may know as Annie in the 2012 Broadway revival. She has impeccable timing and a great voice. It is a great feature film debut for the young star. The ensemble overall is fantastic and work extremely well together. Of course the costume and production design are top notch, but I don’t think anyone expected anything less. Rob Marshall and company have made the best American movie musical in over ten years. Ironically enough, Rob Marshall’s Into the Woods is the best musical since Rob Marshall’s Chicago. I give it 4 1/2 out of 5 stars and recommend it for ages 10 to 18. Into The Woods is a brilliant new film adapted from the award-winning Broadway musical. This lively tale tells the story of some of the most well-known Grimm’s Brother fairy tales, but with an unexpected twist. In the film we see the stories The Baker and his Wife, Cinderella, Rapunzel, Red Riding Hood and Jack and the Beanstalk. All of their lives intertwine and it makes for a wild journey full of song, humor, heartbreak and wonderful lessons. Into The Woods is a must-see this season and I am so pleased with how it turned out. Being a theater junky, I heard news that this musical was going to be made into a film and the anticipation began to grow. The execution of this film is flawless. It captures the feel of seeing a musical live, with the over-the-top theatrics and set design. It translates so well to the screen and allows the audience to fully immerse themselves into this incredible story. The costumes and locations for this film are beautiful and the music is excellent. I caught myself singing along with the movie more than once. Something that I love about this film is that it isn’t the “classic” Disney version of these fairytales that most of us grew up with. It goes back to the authentic stories from the Grimm Brothers themselves, with the obvious twist here and there. In this film, the bad stuff that tends to be cut out of modern fairytales actually happens. For example, Cinderella’s step-sisters cut off bits of their feet to fit into the golden slipper, Rapunzel’s prince is blinded by blackberry thorns and there are no fairy godmothers. Rest assured, all of these misfortunes are done in very humorous ways. I also love that it takes all of these different fables and weaves them together so that everyone has a part in each others’ story. The final thing that really makes Into The Woods stand apart from other fairy tales is that not everyone gets a happy ending. You have to work with what you’re given and make the best of the situation. The entire cast is wonderful and so talented. Meryl Streep plays The Witch, Anna Kendrick plays Cinderella, Emily Blunt – The Baker’s Wife, Johnny Depp – The Wolf, Chris Pine – Cinderella’s Prince. Every character has a solo and I’m so impressed with all of these actors’ amazing voices. I had no idea they could sing. This film brings in names and faces that are very recognizable and also incorporates actors that most of us have probably never seen. So, it’s a really nice mix of people that make up this cast. My favorite scene is when the two Princes sing Agony. It is the most hilarious scene in the film and I laughed so hard I cried. Prince Charming and his brother are lamenting over their princesses, Cinderella and Rapunzel, and it is the cheesiest, funniest thing I have seen in a long time. The Princes are the most melodramatic people, making everything a big deal and this song highlights just how over-the-top they are. The entire audience was cracking up and after the film was over I could not stop singing Agony and laughing about how ridiculous the music number is. 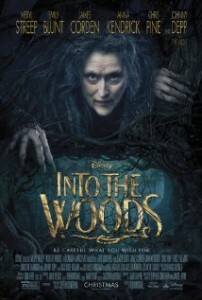 Into The Woods is a film that all ages will enjoy. I cannot wait to see it again. Every aspect of it is so well done – the cast, the visuals, the music and even though a few moments could maybe be a bit scary for younger children, it is something for the whole family. I recommend it for ages 5 to 18 and give this film 5 out of 5 stars. Be sure not to miss Into The Woods. It opens in theaters everywhere on Christmas Day! Into the Woods is a musical comedy about a journey The Baker and his wife must take in order to reverse the curse The Witch put on their house and have the child they always wanted. They must go into the woods and get four things – a slipper as pure as gold, hair as yellow as corn, cape as red as blood and a cow as white as snow – all before the blue moon rises. The most interesting thing about this film is how the screenwriter, James Lapine merges the stories of Cinderella, Jack and the Beanstalk, Rapunzel and Little Red Riding Hood into this brand new fairytale. Cinematographer Dion Beebe has created incredible fairytale-like scenes that are just outstanding. I loved the scene when Cinderella goes to her mother’s grave and tells her that she wishes to go to the ball. All of the sudden, the tree and the leaves twirl her around to dress her in a beautiful golden dress and slippers. It’s fascinating how the camera moves around her to make the scene magical. Of course, music plays a huge role in the film thanks to the brilliant work of Stephen Sondheim who has written perfect lyrics that capture the emotions of every scene. Meryl Streep’s character, The Witch, is the most memorable character. Her voice is powerful and beautiful. When she discovers that Rapunzel has fallen in love with a prince, she begs Rapunzel to stay with her. When The Witch sings “Stay with Me,” you realize that she isn’t as cold- hearted as everyone thinks. She locks Rapunzel in a tower because she is protecting her from the world. The message of the film is that you should be careful of what you wish for. Sometimes what you wish for isn’t exactly what you really want. A secondary message is when you love something you should set it free. I recommend this film for ages 10 to 18 and give it four out five stars. Into the Woods comes out on Christmas Day to a theater near you!